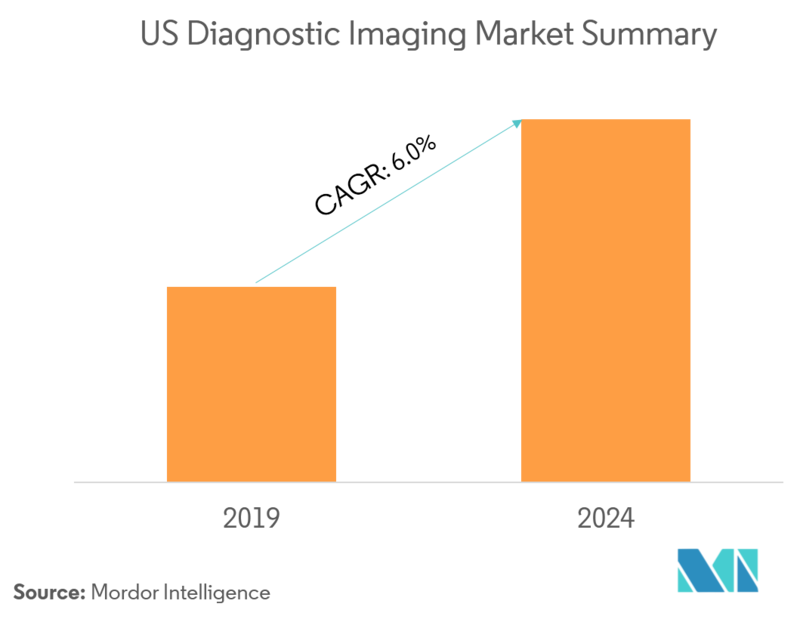 The major factors for the growth of the US diagnostic imaging market include the technological advancement in imaging modalities, growing awareness regarding preventive care, the rising number of diagnostic imaging centers, increasing prevalence of chronic diseases, and increasing geriatric population. The United States is expected to experience an accelerated rate of aging population, as compared to other developed countries. The growth in aging population leads to an increase in the demand for imaging services, since the elderly population is more prone to chronic diseases. According to the National Institutes of Health (NIH) Data, patients aged 65 and above undergo diagnostic imaging two or more times more than the younger population. The number of times women undergo diagnostic imaging is expected to be slightly higher than that of men. The proportion of the older population in the United States, with favorable insurance coverage policies, is likely to drive the market. According to the estimates of the American Cancer Society, in 2018, there were 1,735,350 new cancer cases diagnosed and 609,640 cancer deaths in the United States. The rising number of cases of cancer are creating tremendous opportunities for market players. 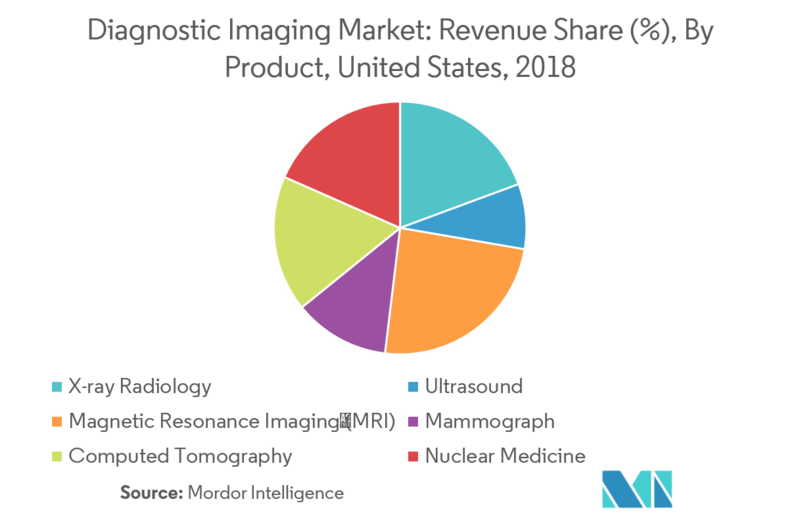 As per the scope of the report, the US diagnostic imaging market covers diagnostic imaging used to take images of the internal structure of the human body using electromagnetic radiation, the for accurate diagnosis of the patient. It has vast applications in a variety of oncological, orthopedic, gastro- and gynecological fields. The market is segmented by product, application, end user, and geography. 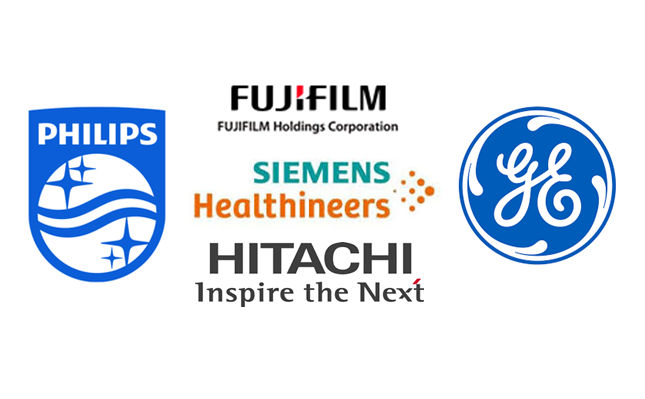 The MRI segment is set to dominate the US diagnostic imaging market. The factors attributing to the high growth of MRI in the country are growing technological advancements in MRI modality and widening the application of MRI in the medical field. As per the estimates of the Organisation for Economic Co-operation and Development (OECD), in 2017, in the United States, there were a total number of 111 MRI exams per 1000 inhabitants. In order to increase awareness among physicians, some of the market players are providing training courses. For instance, Bruker BioSpin is one of the companies that is offering training courses for MRI customers in Europe and the United States. Under this course, it covers a wide range of applications from introductory classes to advanced operator courses. Thus, owing to the rising prevalence of chronic diseases and technological advancements, the market is expected to witness a healthy CAGR over the forecast period. 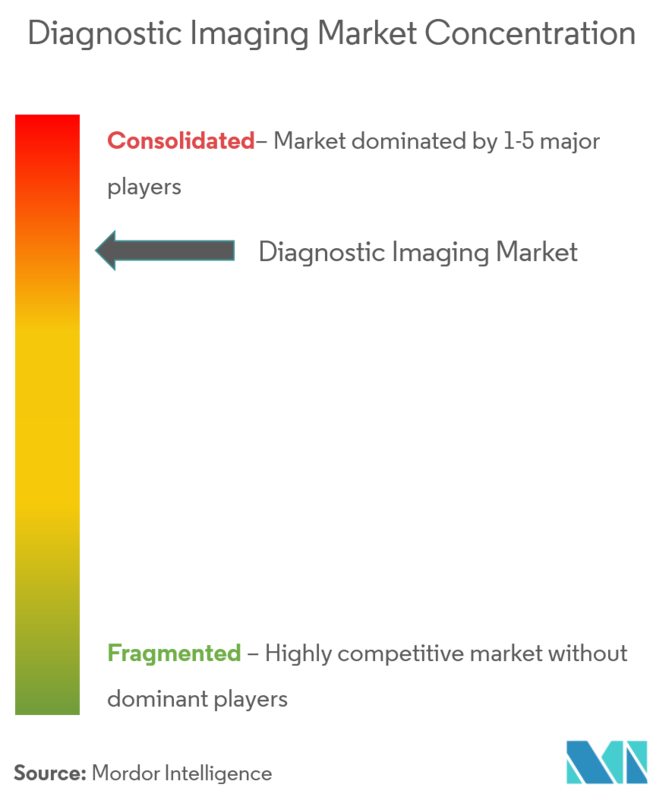 The US diagnostic imaging market is consolidated, owing to the presence of few major players. The market players are focusing on R&D to develop technologically advanced products, in order to reduce the cost and side effects associated with the products. The barriers for the new entrants are high in this industry, and hence, few major market players hold the maximum market share.